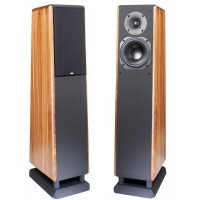 Advance Acoustics K11s Black High fidelity floorstanding loudspeaker : 6 drivers- 3 ways. Power h..
Advance Acoustics K11s White High fidelity floorstanding loudspeaker : 6 drivers- 3 ways. Power h..
Advance Acoustics K5s Black High fidelity floorstanding loudspeaker : 3drivers-3 ways.Power handl..
Advance Acoustics K7s Black High fidelity floorstanding loudspeaker : 3 drivers-3 ways.Power hand..
Advance Acoustics K7s White High fidelity floorstanding loudspeaker : 3 drivers-3 ways.Power hand..
Advance Acoustics K9s Black High fidelity floorstanding loudspeaker : 4 drivers-3 ways.Power hand..